Trina May Smith's empathetic paintings depict the effects of dying industries and urban decay. 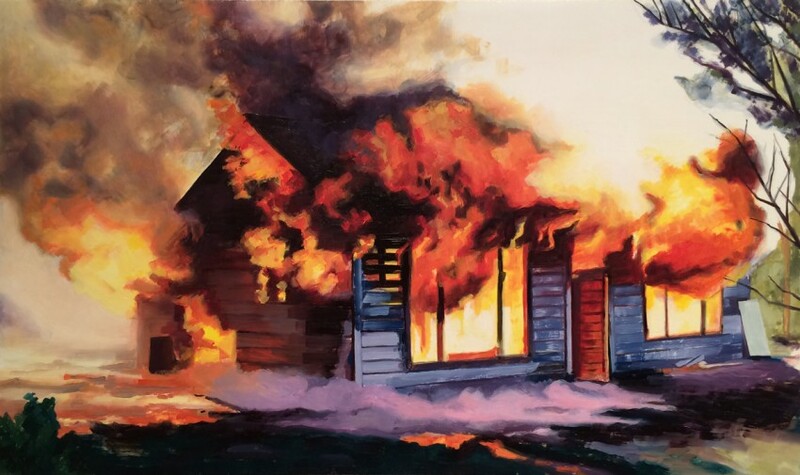 Her paintings are small scale and amazingly well painted capturing time, place, and conflict in today's society. Of her trip to BP's refinery in Whiting, IN, Trina says she was torn between the environmental issues as "smells and emissions filled the air" while at the same time, acknowledging that she needed fuel to get there and would most likely be dependent on fossil fuels for the rest of her life. Portraits of abandoned homes capture the beauty and mystery of a harsh urban environment and invite deliberation of complex contemporary realities on the part of the viewer. Trina May Smith – "Rustbelt"